Speaking little English, Joseph Pulitzer, a Jewish immigrant from Hungary, came to America during the Civil War as a Union Army recruit. Although he arrived in St. Louis penniless, within a few years he married an Episcopalian socialite, served as a state senator in Missouri and made his fortune by creating two best-selling English-language newspapers: the St. Louis Post-Dispatch and, in New York in 1883, the World. This colorful character is recalled in the context of his time on “American Experience: Joseph Pulitzer” on Friday, April 12 at 9 p.m. on WGCU HD. 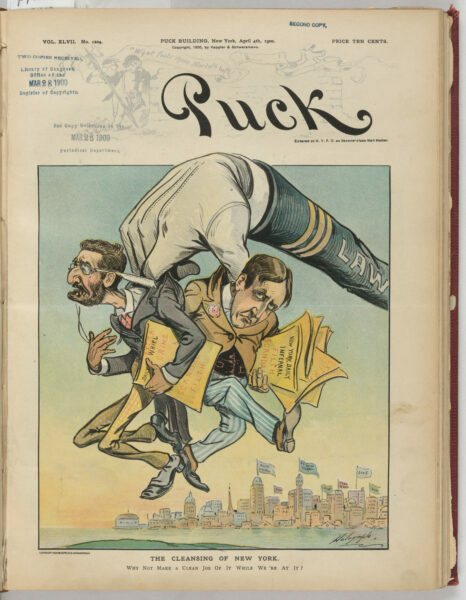 Pulitzer was famous in his own time for his outspoken and cantankerous editorial voice and his newspapers’ striking illustrations, visual style, national circulation and financial success. Against the context of America’s explosive growth as a world force during the Gilded Age, Pulitzer became the country’s first media titan, reshaping the newspaper to bear witness to and even propel that transformation. Pulitzer championed what he regarded as the sacred role of the free press in a democracy. At the end of Pulitzer’s life, President Theodore Roosevelt sued him for “criminal libel,” citing the ongoing investigation of potential corruption in the building of the Panama Canal. Pulitzer’s little-known Supreme Court victory in 1911 established important precedent for the First Amendment right to free speech and resonates strongly in today’s fraught political environment. Adam Driver narrates the American Experience episode on Pulitzer, subtitled “Voice of the People.” Liev Shriber is the voice of Pulitzer himself. Tim Blake Nelson is the voice of Roosevelt and Rachel Brosnahan is the voice of investigative journalist Nellie Bly.